This afternoon the WHISKYdotcoza team is off to Cape Town’s whisky mecca, the Bascule Bar, for a photo shoot. Bascule manager George Novitskas has kindly agreed to let us do our thing at his venue, which is reputed to have the largest whisky collection in the southern hemisphere. It should be perfect for the atmospheric images that we’re after. One of my favourite magazines, Drinks International, recently commissioned an authoritative (I say this because they call it “The most authoritative bar industry survey ever”, so its authoritativeness cannot be overstated) survey to rate the world’s 50 best bars, and whilst South Africa is well represented – Café Caprice and Planet Bar crack the nod – for my money the Bascule can feel hard done by. The supplement was published in November last year and if you’re inclined to do so it can be downloaded here: http://www.drinksint.com/files/Supplements/2010/Bar-Supplement-2010.pdf. 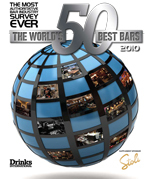 I’ve written to them to see if there are any plans to feature the world’s best whisky bars, whereupon the Bascule, and Katzy’s in Johannesburg, will I’m sure keep the flag flying. I’m also going to be taking the opportunity of this afternoon’s visit to remedy a glaring omission in my whisky repertoire. 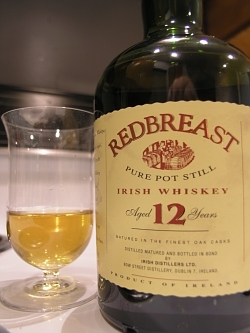 I have tasted and enjoyed all the significant types of whisky bar one – pure pot still Irish. I can’t drink in Irish company again – and what better drinking company is there – until I set this right. For those of you unfamiliar with it, this is the definitive Irish style of whiskey, much as single malt is to Scotch. Pure pot still must be made in a pot still and, by convention (there are no regulations, as there are for Scotch, defining Irish whiskey styles), from a mixed mashbill (i.e. recipe) of malted and predominantly unmalted barley. Check in tomorrow for excerpts from our shoot and (hopefully) my impressions of pure pot still. Until then – may the dram be with you. This entry was posted in Uncategorized and tagged Bars, Whiskey, Whisky. Bookmark the permalink. 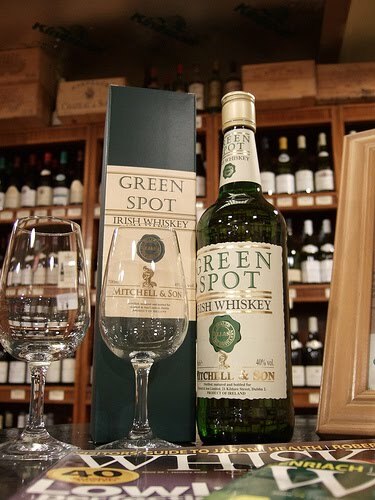 I was fortunate enough to have tested the Green Spot some years ago while living in Ireland, but unfortunately hadn’t yet developed a passion for whisk(e)y at that stage. The Red Breast, on the other hand is a marvel! I purchased a bottle a Whisky Live and enjoyed it thoroughly. That smooth, smokeless texture, balance and finish are unbelievably elegant. It’s definitely something I need to replace… quickly! Enjoy! Thanks Andrew. I’m envious…and in practice unfortunately still no wiser. The Bascule was out of stock.